EnCon Colorado LLC’s girder production facility began in 1993 as a division of the Hydro Conduit Corporation. Hydro Conduit had been producing concrete pipe at this site in Denver since the early 1950’s and had shipped girders from a plant in Albuquerque in an effort to serve the Colorado market. They later added manufacturing capabilities at their existing Denver pipe plant. With the installation of a new batch plant, the prestressed girder plant obtained PCI certification in 1996. Hydro Conduit produced girders for many high profile projects including TREX, E-470, the I-70 viaduct, and the Broadway Viaduct. EnCon United purchased the operating assets of the prestress operation as the TREX project was winding down in 2004. Hydro Conduit, then known as Rinker Materials, continued to produce pipe on the same site. EnCon United established EnCon Bridge Company, and hired all of the key employees of the prestress division. EnCon Bridge continued operations on land that was initially leased from Rinker. The first projects consisted of Phase 3 of the Broadway Viaduct as well as the first curved spliced trapezoidal girder bridge, the award winning SB I-25 to I-270 Flyover. During this period Rinker purchased Carder Concrete, another local pipe producer, and moved their operations. EnCon then acquired the entire 45 acre site and its entire infrastructure. 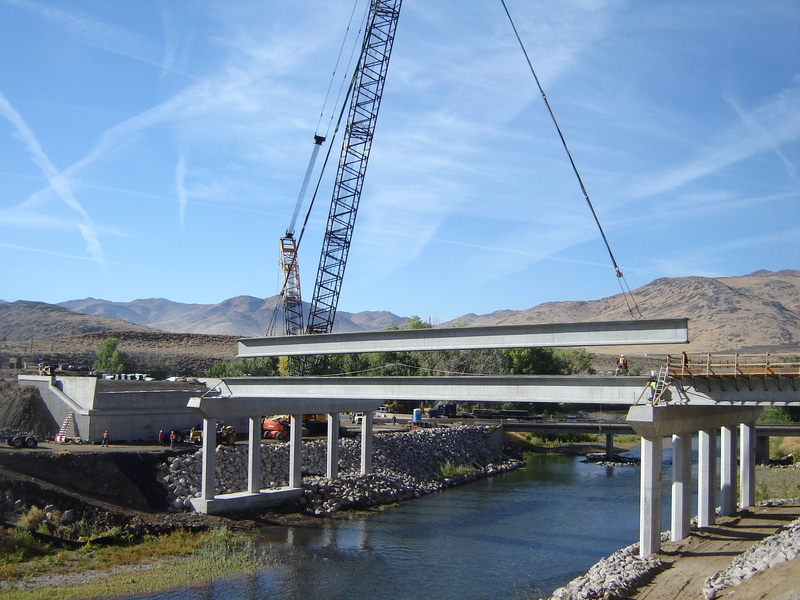 This additional space allowed EnCon Bridge to produce all of the girders for the COSMIX project through Colorado Springs. EnCon Bridge Company expanded into the commercial market, and in 2007 became EnCon Colorado LLC. EnCon Colorado LLC began producing hollow-core panels, stairs, and stair and elevator shafts for buildings. With the purchase of another 6 acres surrounding the plant, EnCon is well positioned for future expansion. The EnCon family of companies now consists of nine production facilities. The product line includes architectural and structural building elements, bridge girders and deck panels, CarbonCast®, columns, double tees, prestressed beams, hollow-core, insulated and non-insulated wall panels, commercial grade walls, noise walls, retaining walls, risers, spandrels, stairs, concrete tubes/shafts for stairs, elevator and other mechanical cores. As a certified producer of the Precast/Prestressed Concrete Institute and an AltusGroupTM Producer Member, EnCon is recognized among the leading precast companies in the United States.